Students develop and apply the skills of observing, comparing & contrasting, and communicating as they explore life cycles of familiar plants. Science has a classification system for organizing all living things, including plants. Botanists (scientists who study plants) must find a way to categorize the millions of different plant species that exist on Earth. While all plants are made up of similar parts that are essential in maintaining their survival (e.g., roots, stems, leaves) these parts often look and behave differently. For example, one way botanists classify plants is by looking at how they take in water and nutrients. Another way botanists classify plants is by looking at how plants reproduce. For example, plants in the grass family reproduce by sending out underground stems called rhizomes while other plants grow from seeds or spores. In this inquiry, students will use their observation skills to compare & contrast seeds and bulbs as they learn various ways of starting new plants. As they explore the life cycles of plants grown from seeds and bulbs, students will begin to recognize the link between themselves and other living things and appreciate the benefits and responsibilities they have for the care of these organisms. When preparing to work with plants students should understand the importance of never tasting any part of a plant and washing their hands after handling any part of a plant. "What are some parts of the plants that you can see? What parts can't you see?" "Where might you find cones like these?" "How would you describe some of the steps a plant goes through when it is growing from a seed to a plant?" "What are some of the parts of plants we saw in the video? What parts did we not see? Why are some parts easier to show in a video than others?" "Does a seed need the same things to survive as a full-grown plant needs? What is the same and what is different about their needs?" Students develop and apply the skills of comparing & contrasting, observing and communicating as they explore the life cycles of familiar plants. Observe the collections of seeds with their eyes and then through a hand lens. Educator facilitates discussions, encouraging students to observe and describe features of the seeds such as size, shape, colour, markings, etc. Record what is observed and thoughts that arise from the discussions. Observe examples of bulbs and compare and contrast them to the seeds. Educator facilitates discussions, encouraging students to observe and describe features of the bulbs such as size, shape, colour, markings, etc. Select a seed or a bulb to grow. Educators ask students to predict what might grow from their seed or bulb - e.g., will it be short or tall, have a flower or no flower, produce fruit, etc. Students may also notice that some bulbs have roots already showing, which can spark a discussion about things that grow from seeds and where their roots are. Determine how they will record the changes their plant goes through in its life cycle, from seed/bulb to a full-grown plant, and the kind of care they will need to provide for the seeds to germinate and then to continue to grow. Educator facilitates discussions, discussing how students can keep track of the time it takes for the different stages of plants to appear, use of digital tools to record, how to describe what they see happening at each stage, etc. Record changes over time in the life cycle of their plant. Compare and contrast stages of the life cycle of their plant with that of plants grown by others. Educator facilitates discussion, asking students to compare the time it took for their seeds to germinate, the speed at which their plant grew leaves, what differences were noted between plants grown from seeds and plants grown from bulbs, etc. Students observe seeds and bulbs with their eyes and through a hand lens. "What are some things you observed about the seeds?" "What did you observe about the bulbs?" "What did you observe through the hand lens that you could not see with just your eyes?" Students compare and contrast seeds and bulbs, including observations made with a hand lens. "How are the seeds the same? How are they different?" "How are the bulbs the same? How are they different?" "How are the seeds and bulbs the same? How are they different?" "What similarities and differences were you able to see with the hand lens that you could not see with just your eyes?" Students discuss and record observations. "Do you think that the size of the seed/bulb will affect the size of the plant that grows from it? Why do you think that?" "How can you tell if a seed is right side up for planting? Why do you think that?" "How can you tell if a bulb is right side up for planting? Why do you think that?" Students record the growth and change in their seeds from germination to plant. "What did you observe about the time it took for the seeds to germinate? Did the size of the seed have an impact on germination? Why do you think that?" "What did you observe about the time it took to see growth from the bulbs? Did the size of the bulb have an impact on this? Why do you think that?" "Did the way that you care for the plants change after they germinated? Why/why not?" "How did the growth and change look the same amongst the different seeds we planted? What differences did you notice?" "What would be some of the advantages of growing a plant from a cutting?" "What do you predict is meant when we say we can grow new plants by grafting?" "What types of plants do you think would lend themselves to being grown from cuttings or from grafting?" Students may be unaware that strawberries grow in fields or that carrots grow in the ground. 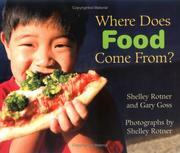 Educators may wish to set up provocations that provide opportunities to explore the "food from farm to fork" concept. A farm visit would be ideal, but where that is not possible books and videos such as the ones suggested below provide a starting point for further explorations.